Having just launched its flagship smartphone with mid-range price, the Chinese company Honor is now focusing on another segment of the market. 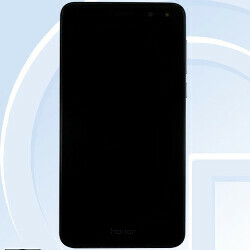 An unannounced Honor smartphone with low- to mid-end specs has been recently spotted in the wild under the codename Maya. The smartphone is undoubtedly real and will most likely be introduced in the coming weeks since it's now listed at TENAA, the Chinese regulatory commission. Due to that, we're also treated to some pictures of the Honor Maya, which show the phone from all angles. Specs-wise, Honor Maya is supposed to pack a 1.4GHz quad-core processor, 2GB RAM and 16GB expandable storage. Also, the phone should sport a regular 5-inch display with HD (720p) resolution, as well as an 8-megapixel primary camera. Honor's budget-friendly smartphone will be powered by a 2,920 mAh battery and will run Android 6.0 Marshmallow right out of the box, which is kind of a letdown. Although it's not too early to talk about price, we don't have any info on the matter. However, we do know the Honor Maya will be available in Gold, Gray, and While color schemes.